The Meghan Markle effect is so powerful that yesterday she managed to cause a frenzy about a dress by only showing a slither of the fabric on her shoulder—quite the achievement. 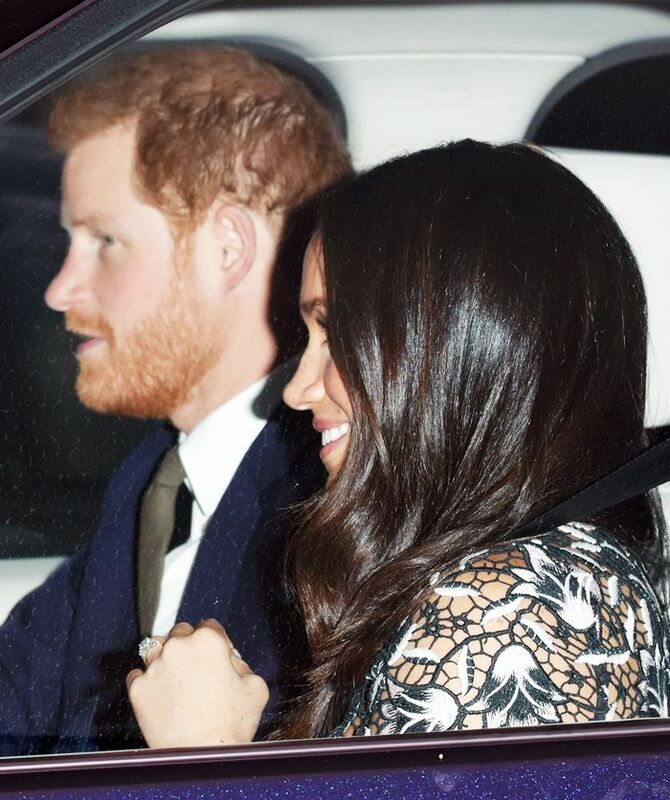 Meghan attended her first Christmas lunch with the royal family yesterday and was photographed in the front seat of a car on her way into Buckingham Palace. You might only be able to see her outfit from the shoulders upwards, but Meghan fans quickly noted she's wearing a midi dress from Self-Portrait. The dress is modern but still respectful for the occasion, as it has the brand's signature guipure lace bodice balanced with a classic full black skirt. The brand already has the royal stamp of approval, as the Duchess of Cambridge wore a pleated white crochet maxi dress to the premiere of A Street Cat Named Bob. Meghan's dress was on sale for £180 (of course it's now sold out), but she wore it with a pair of diamond earrings from Canadian jeweller Birks that you can buy for £5250. Keep scrolling to see Meghan Markle's take on Christmas dressing. Next up, the best winter coats to buy now.